But then I try to calm my nerves, reminding myself why had I started each of the projects in the first place. Why does the love for doing the things that I love need to be bound in time? Why can't I do the things in my own time? What do I want in the end - a sense of achievement or a sense of satisfaction? I keep questioning, reminding, fighting my inner demons and slowly moving forward along this foggy road. But what you don't know is, I still feel unsure of myself, unsure of which path to choose? Should I commit to any one path? Or instead of focusing on what I 'should' do, I follow my heart? Maybe today I feel 'out of control', but maybe, just maybe, if I continue to follow my passions and follow my instincts, I find new possibilities and discover myself tomorrow. Well it happens with all of us Aditi! We find it difficult to focus and feel like giving it all up. But take some time off and then take your own sweet time. In the end it will all turn out to be fine. 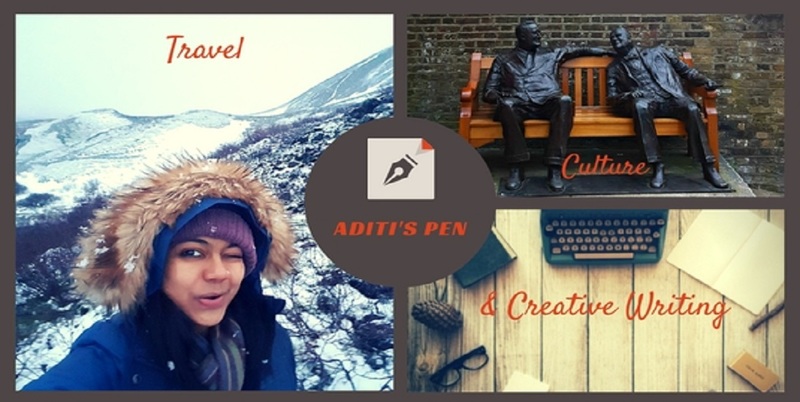 It sounds like you have an endless passion for so many interests, Aditi. Maybe, you should take some time to prioritize what "floats your boat" so you can address the most important issue first. Multi-tasking is highly overrated; thinking we can do so, and with focus, defeats our purpose from the get-go. Variety is the essence of life. For all I have understood, it makes you feel alive and the hope of an expanding horizon is good for the soul's growth and helps us transcend to higher levels of existence. We all have to struggle with the paradox- variety and focus. The art is to mediate between the two. Focus short term but never long term. A long list but one thing at a time, so that we give it our best shot. Aditi , exactly the same time last month I was going through what you were going through. We do what we do coz even if it stretches us beyond our capabilities , it gives us pleasure. I guess satisfaction or achievement whatever it is that you are looking for at the end of it all gives you happiness. I never saw myself as a quitter .. but eventually I realised I was dragging a part of me forward , coz I didnt want to quit [ it was making me miserable !! yet I was going on] so I chose to step back and soak in the bigger picture and figure it out. I guess we choose our own battles and we have to fight them on our own . But once you know what battle is worth fighting for it becomes crystal clear and you are back in control!! So go ahead - take charge ! its so so worth fighting for yourself.